4. "No Sympathy No Violins"
7. "Every Home Should Have One"
11. 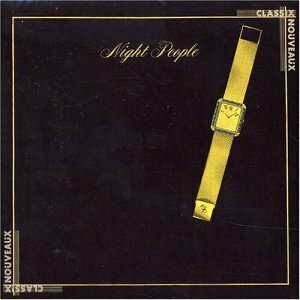 "The Protector of Night"
Classix Nouveaux were a 1980s new wave band from England. They had number one hits in Poland, Portugal, former Yugoslavia, Israel, Iceland, and other countries. In the UK they had various Top 50 hits but only one Top 20 hit with "Is It A Dream", which peaked at #11 on the UK Singles Chart on April 10, 1982. The break up of X-Ray Spex triggered an advertisement placed in Melody Maker, searching for a new lead singer. Sal Solo (formerly with The News) answered the advertisement. Jak Airport and B.P. Hurding left X-Ray Spex to form Classix Nouveaux with Mik Sweeney and Sal Solo. Their first gig was on 25 August 1979 at Camden Palace. With publicity growing for the band, their dramatic and heavily made-up image quickly helped associate them with the New Romantic movement, alongside bands like Japan and Ultravox. In 1980 the band recorded a four track session for Capital Radio and one track, Robots Dance, was picked up and played regularly by DJ Nicky Horne. This got the interest of A&R at United Artists, but as negotiations dragged on. Classix decided to release the track as their debut single on their own ESP label. "Robot's Dance" was released on August 29 and, when negotiations with UA were finalised, by EMI. They also performed for the first time on television on Thames TV in London. "Robot's Dance" spent 11 weeks on the indie charts, reaching number 22, and became a popular alternative dance floor track. The group's second single, "Nasty Little Green Men", followed on November 10, 1980. Band members continued to come and go, and by the end of the band's existence Sal Solo was the only original member remaining. Solo went on to become heavily involved in Catholicism, releasing several Christian-oriented albums after Classix Nouveaux's break up. Mik Sweeney moved to Los Angeles, California where he built fretless basses and did studio session work; he currently lives in Ireland. Gary Steadman went on to join A Flock of Seagulls. Jimi Sumen became a record producer in Finland and released a number of successful solo works there.